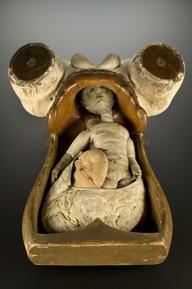 Obstetrical binder, circa 1900. Full view, black background. Obstetrical binders were supporting garments to aid recovery after childbirth. They were also used to attach bandages securely to the body. Binders were wrapped around the body from the ribs to the top of the legs. They occasionally assisted the mother during childbirth by providing abdominal support. 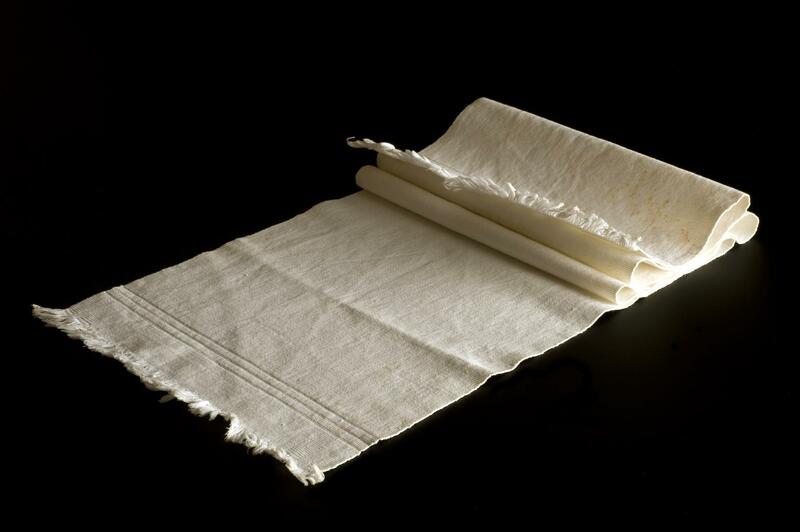 This example is made of heavy linen.